Soft Body. 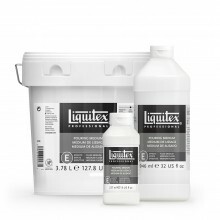 All purpose medium, formulated to be mixed into all Liquitex acrylic paints and mediums. Mix into any acrylic paint to enhance the depth of color intensity, increase transparency, gloss, ease flow of paint and add flexibility and adhesion of paint film. Use as a non-removable varnish to protect painting and establish gloss sheen surface. Translucent when wet, transparent (clear) when dry. Dry to a non-tacky, hard, flexible surface that is resistant to retention of dirt. Resists discoloring (non-yellowing, non-fogging) due to humidity, heat and ultraviolet light. Application onto acrylic sheets, Airbrushing, Brushwork, Collage, Glazing, Murals and Transferring Printed Images. As An Extender: Mix with Soft Body Concentrated Artist Color to extend volume and increase transparency, while maintaining paint viscosity. Mix with Heavy Body Artist Color to extend volume and increase transparency, while decreasing paint viscosity. 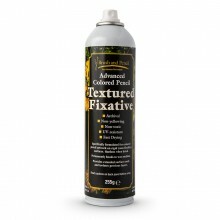 As A Fixative:Use as a fixative over artwork (acrylic paint, pastel, graphite, chalk) to increase gloss or shine. Mix 1 part Gloss Medium & Varnish to 1 part distilled water. Apply with atomizer or airbrush. As a Binder / Adhesive:Powdered pigments or aggregates may be mixed into Gloss Medium & Varnish, however they must be compatible with acrylics. As A Ground:Use as transparent ground for acrylic paint instead of gesso. Allows substrate to be seen. With Powdered Pigments:Use as a binder with powdered pigments to make an inexpensive student grade Soft Body gloss paint. Gloss Varnish for flexible surfaces is recommended as the best varnish for acrylic paintings. Apply Gloss Medium and Varnish as a final permanent varnish over dry acrylic paint. Varnish surface and environment must be clean, dry and dust free. 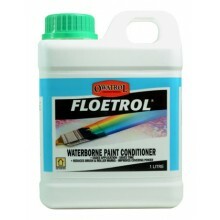 Dilute Gloss Medium and Varnish up to 20% for better brushing and levelling.